On 26 September 2006 the Museum of Education in Armidale, New South Wales, will turn 50 years old. It is a milestone that may not seem significant when some of Australia's state-run museums have already celebrated their 150th birthdays. Yet the museum was one of the earliest in Australia to have been established following the principles of folk museums operating overseas: it recreated period rooms and focused on the social history of everyday people. 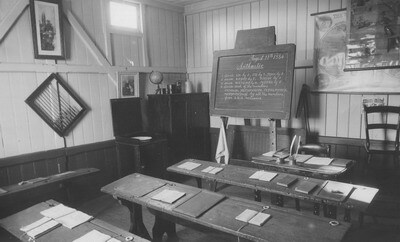 The Museum of Education was also the first museum project of Eric Dunlop, a lecturer at the Armidale Teachers' College. Dunlop was a pioneer in the development of folk museums in Australia. This article considers the origins of Dunlop's interest in folk museums; glances at the broader history of museum development in Australia; examines his work in northern New South Wales; and considers his influence over developments elsewhere in Australia. In early 1960 Eric Dunlop, a lecturer at the Armidale Teachers' College, wrote of the 'New England Folk Museum Movement' in the journal of the Royal Australian Historical Society. With some pride, he noted the establishment of 'several small but interesting folk museums' in the New England region of New South Wales, but he lamented that there had been no progress towards initiating any sort of folk museum in Sydney. Dunlop's encouragement of the establishment of folk museums was directly connected to his background as an educator. He believed that just as museums of natural science were considered 'indispensable' to the scientist, so too should a museum of social history be essential to the historian's enterprise. To perform their proper role in research and education, he argued, museums had to be more than just a 'collection of curious objects associated in some way with great men or events of our past'. Rather, their collections should incorporate re-creations of the everyday to allow the visitor a 'picture of what life was really like in the early days'. Dunlop was to oversee and guide the development of folk and social history museums in New England, and through his writings and involvement in teacher training he influenced their development elsewhere in Australia. Such museums, found in almost any sizeable town throughout the country, now form numerically the bulk of the museum industry. Yet their comparatively recent rise has received little attention. Lately, with the opening of a suite of new national museums (including the National Museum of Australia, Te Papa, and the Museum of Scotland), historians have tended to focus on the development of national (and consequently metropolitan) museums. Other researchers have examined in detail the development of historical collections, but these investigations tend to stop prior to the mid-twentieth century, and therefore overlook the emergence of folk museums. This article aims to redress the balance by highlighting the pioneering work of Dunlop and examining how and why the 'movement' developed in New England. It will also indicate the central role of the bush (or at least the country towns) in the creation of folk museums, and attempt some assessment of Dunlop's broader influence on museological development and practice. At a time when folk museums were common overseas, Australia had few museums devoted to social history. It is nevertheless true that many Australian museums did accumulate historical artefacts alongside their collection of natural history specimens. The Burke Museum at Beechworth in Victoria, for example, contained both historical and natural curiosities, a significant proportion of which had been acquired from a private collector in 1868. A similar pattern — by which private collections ended up in public hands — also occurred in the New England region. Typically, such collections were the product of generations of accumulation, or resulted from an individual's quest to acquire a specific set of artefacts. When they became too unwieldy, or in the event of the collector's death, these collections formed the nucleus of several local museums. As historian Lionel Gilbert has noted, many museums began by collecting the collectors. Objects concerned with social history could also be found in Australia's array of state museums, technological museums, and a few privately operated institutions. The two oldest, the Australian Museum in Sydney and the Tasmanian Museum and Art Gallery in Hobart, had their origins in the 1820s. Most of the other state museums were formed in the 1850s — the National Museum of Victoria, the South Australian Museum and the Queensland Museum — with the Western Australian Museum having developed (in part) from the Swan River Mechanics' Institute of 1860. Each was primarily a museum of natural history and any objects of historical importance had been acquired on an informal and infrequent basis. Consequently, while Sir Sydney Markham and HC Richards, in their seminal investigation of Australian museums and art galleries in 1933, were able to report that 'most museums' had historical collections relating to their local region, these were described as 'interesting relics of early occupation and development'. They tended to include archival material (books, documents and pictures), coins, objects related to the deeds of great men (such as memorabilia related to explorers) and Aboriginal artefacts. Any articles of historical interest that had been acquired by the colonial museums were typically used in displays as evidence of the progress of 'mankind'. Even the international exhibitions held in Sydney, Melbourne, Adelaide, Launceston, Hobart and Brisbane during the late nineteenth century featured few historical elements. Valda Rigg and Kimberley Webber both observe that the emphasis of the local displays was on the colonies' achievements. Visitors to the exhibitions were typically shown the products of the nation: its natural produce, manufactures and mineral specimens. Referring to the Colonial Courts at the Sydney International Exhibition of 1879, the Sydney Morning Herald emphasised the New South Wales Department of Mines exhibit of minerals; Victoria's Ballarat Woollen Manufacturing Company's display of cloths, tweeds, blankets, and flannels; samples of South Australia's salad oil and breadstuffs; and Tasmania's native animal fur skins and ladies' wear. The few historical elements that did feature in the various international exhibitions were used to highlight the progress of the colonies: the 'discovery' of Australia by Captain James Cook, or the riches unearthed by the miner. The presence of Aboriginal people was not ignored, but in dioramas and other displays they were typically accorded the status of the primitive savage, a representation that underlined the virtues of European civilisation in Australia. Many historians believe that a turning point in the development of Australia's historical consciousness occurred in the first half of the twentieth century. For some, Australia's 'coming of age' on the battlefield of Gallipoli was the 'defining factor in a new nation's history'. As Webber observes, this was a country that previously had little interest in collecting historic artefacts. Yet, following the approval of a national war museum in October 1917 the same country was 'now declaring material historic and collecting it even as the very battles which produced it raged on'. Certainly, the historian Graeme Davison suggests in a discussion of the connection between museums and national identity that the Australian War Memorial had 'the strongest claim to represent national values'. Yet to highlight this 'key' moment in Australian history would be to ignore the more widespread interest in history that had been developing at a grassroots level since the late nineteenth century. As the cultural historian Chris Healy cautions, while there was no nation to 'hitch' historical collections to prior to Federation, 'we should not underestimate the extent to which the sense of pride in the progress and status of each of the colonies was, to a significant extent, prototypical of nationalism'. This interest in Australia's historical past is almost palpable in the late nineteenth century. 1880 saw the introduction of school textbooks that included Australian history, and was also the year in which the Sydney Bulletin was founded. The Bulletin, as the historian Geoffrey Serle observes, swiftly developed a large circulation, and although its views were extreme and not widely accepted, it 'promoted a version of history which exposed the shame and horror of the English convict-transportation system and glorified the digger and Eureka'. Serle noticed that the Bulletin had tapped into a much older 'folk undercurrent' of the songs, narrative ballads and yarns of the bush. At the same time, a number of artists (most notably the Heidelberg School) shared 'a basic urban nostalgia for rural values'. Encouraged by Victoria's fiftieth anniversary celebrations in 1884 and Australia's centenary celebrations in 1888, these artists were inspired to depict an array of scenes of rural life. Again, colonial folklore was apparent in scenes of bushranging and horsemanship. It is in this context that the New South Wales premier Henry Parkes established a competition for the design of a Memorial State House in 1887. The Memorial was to be located in Centennial Park and incorporate a museum that would contain, among other things, 'reliques as may be illustrative of the historical, material and industrial stages of the Colony's progress, and of the various aboriginal races of Australia'. In the end the project became embroiled in controversy and did not proceed. The burgeoning colonial nationalism of the 1880s, although it did not realise any historical museums of great significance, had begun to stir the historical imaginations of the people. On 15 March 1901 a small group gathered in Sydney for the inaugural meeting of the Australian Historical Society, later called the Royal Australian Historical Society (RAHS). Although there were a few noted academics and other personalities involved, the strength of the society then, as in the future, was 'men and women for whom Australian history was a hobby' rather than a profession. Yet perhaps, as the historian Tom Griffiths suggests, it was not the number of hobbyists that was significant; rather, it was the alliance between the professional and the antiquarian that provided organisations such as the Australian Historical Society with their strength. Membership grew and the young society began conducting a schedule of lectures and excursions, publishing a journal, and promoting the study of Australian history. From 1916 it advocated the establishment of a national museum of social history. The society was not alone in driving this campaign. The Australian Museum, the National Art Gallery and the Public Library of New South Wales joined them, but the competing desires of each institution and a change of state government in 1920 resulted in a loss of momentum, and the campaign bore no fruit. Nevertheless, the society did not give up. Intermittently through the 1920s and 1930s, it continued to push for the establishment of a museum of social history. Members organised public exhibitions of historical material and argued that old buildings in Macquarie Street be used to house such a museum, instead of being demolished. Yet despite these promising signs, Markham and Richards's 1933 survey could discover just three museums dedicated to historical exhibits: the Australian War Museum, Vaucluse House, and a historical collection in the Parliament buildings of Canberra. All had their origins in the first two decades of the twentieth century. The War Museum began in Melbourne as an exhibition of war relics in 1922, before moving to Sydney and eventually to its permanent home in Canberra. Vaucluse House, the home of prominent colonists the Wentworths, opened its museum in 1912, though it was not until much later that it was adequately stocked with furnishings and other objects relating to the Wentworth family. Dunlop believed that Vaucluse House was the 'first step' towards a folk museum; but, as a colonial mansion, it represented a 'small and ... not very typical part of Australian history'. The Parliament House collection developed from a collection of historic artefacts established by the Commonwealth government in 1908. It included objects related to markers of possession of the country: a Cobb and Co. coach that facilitated communication, the surveying equipment of the explorer Charles Sturt, and the seemingly ubiquitous artefacts related to Captain Cook. Very little of this collection was devoted to the everyday. Perhaps the most successful of the exhibitions in which the RAHS took part was a component of the 1938 celebrations to mark 150 years of British settlement in Australia. Unlike the 1888 celebrations, in which little historical material and few displays were put on show, in 1938 Sydney boasted three historical exhibitions and a parade of 120 floats covering 'seemingly every aspect of Australia's past', except the convicts who were excluded as a stain on an otherwise illustrious past. Indeed the 1938 sesquicentenary celebrations marked the most visible shift in public perception. A crowd of over one million witnessed the parade, and the exhibition in which the society participated recorded an attendance of almost 58,000 people over the course of a four-week showing. The organising committee was chaired by KR Cramp, then President of the RAHS, and drew particularly on the resources of the society and the Australasian Pioneers' Club for the display. Well worth seeing. A pity it is not permanent. 'Remove not the ancient landmark' (Proverbs 23:10). Eric Dunlop, then in his late 20s, was captivated by these events. He later came to view the occasion as a missed opportunity, a 'might-have-been' museum of social history. As part of his own research into museums, he acquired copies of the Historical Exhibition reports, underlined relevant passages and ticked visitors' comments that supported his belief that there was broad public interest in history and the establishment of historical museums. To Dunlop it was the grassroots interest generated by events like the sesquicentenary celebrations that was later to lead the way in the development of historical museums and particularly folk museums. Born on 17 May 1910, Eric Wilfred Dunlop was the son of Alexander, a journalist, and his wife Jane. It was unsurprising that Eric became a teacher, as 'an aura of education' was said to hang about the family: two of his uncles, two sisters and 'a remarkable number of cousins' had entered the profession. He was educated first at Croydon Public School in Sydney's western suburbs and then at Fort Street Boys High School, a kind of seminary for the brightest sons of the lower middle class. It was at Fort Street that he was taught history by CB Newling, who was later appointed principal of the Armidale Teachers' College. Newling reputedly fired Dunlop's interest in museums by setting a project for him and another student to examine and report on the Australian Museum's Captain Cook artefacts. Dunlop continued his study of history at the University of Sydney where he graduated Master of Arts with first class honours in history in 1933. He was appointed to Belmore Junior Technical School to teach a range of subjects from mathematics to singing. The latter classes he apparently swapped with a colleague so he could teach history. He then taught at Parramatta High School and Hurlstone Agricultural High School. Encouraged by Newling, in 1934 he took up an appointment as lecturer in history at the Armidale Teachers' College. Dunlop remained ambitious and wanted to further the advancement of his career as an educationalist. He was working in a system increasingly influenced by the 'New Education', with its emphasis on putting 'the school into contact with "real life", the need to develop all the powers of the child, the value of "learning by doing" and "activity", and "self-expression"'. As the historian of education RJW Selleck has suggested, there was often a very large gap between the promise and the reality of the New Education; but an examination of Dunlop's career reveals one teacher and educationalist who did manage to provide the rhetoric with activity and substance. Following well-meant career advice of dubious perspicacity from a mentor within the Department of Education, Dunlop stayed just two years at the college before returning to teaching in high schools where he had been led to believe that promotion would be swift and he would benefit from the wider experience. Leaving Armidale, he took up a position at North Sydney Junior and then Dubbo high schools. It was only in retrospect that he felt he 'had found his true vocation at the College' and wanted to return. In late 1937 he applied for the position of lecturer in history there but was unsuccessful. Dunlop was disappointed by his failure and grew increasingly disillusioned with his work in high schools where he was limited by the syllabus, his pupils' lack of sophistication, and a shortage of books. He wrote to Newling in 1940 to ask his advice about the possibility of his 'ultimate return' to Armidale and the college staff. Although Dunlop thought he had performed well at the college, he feared that Newling's 'paternal eye' had found faults of 'immaturity and inexperience'. In justifying why he wanted to return, Dunlop noted that it was partly because he had begun to develop his 'own philosophy' where education was the key to effecting a new social order. At the college he felt he could develop materials in line with his theories and would have a greater opportunity for self expression. In a brief reply, Newling noted that the 'best man' was successful in winning the 1937 lectureship, and while he thought Dunlop's philosophy was 'sound', he was noncommittal on the prospect of his return to the staff. In 1943 Dunlop enlisted in the Australian Imperial Force. Following the cessation of hostilities, he returned to education and taught history at Katoomba, Bathurst and Wollongong high schools. Some eight years after writing to Newling, he was again appointed to the staff of the Armidale Teachers' College, commencing in February 1949. It was in Armidale that Dunlop spent his productive and innovative middle years, but it should not be forgotten that he was city- or at least suburban-bred. Consequently, to the extent that he romanticised the life of rural folk, he did so as someone raised in a Sydney suburb, and therefore as an outsider rather than a countryman. Davison argues that Australia's late nineteenth-century bush legend owed much to the fantasies of urban intellectuals, but in Dunlop's case he had acquired real experience of life outside Sydney as both a teacher and lecturer. He was now, moreover, returning to a town with a powerful sense of its own status as a centre for culture, learning and civilisation. Armidale Teachers' College had been established in 1928 — a grand brick edifice on a hill overlooking the town centre — and '[n]ever before had a Teachers' College been built so far away from a major centre of population'. It was, to a large extent, the product of the influence of DH Drummond, the Minister of Education and, felicitously, the Country Party member for Armidale in the New South Wales state parliament. Yet Armidale, with its cool and reputedly healthy climate, had been promoted as a centre for learning since the nineteenth century, partly in compensation for the decline in the district of mining, agriculture and (to a lesser extent) pastoralism, and it already contained many well-regarded schools. Along with this cultured self-image came a growing interest in the region's history, both Aboriginal and European, manifested in the formation of the Armidale and District Historical Society in 1959. Dunlop convened the meeting that founded this organisation and became its first president. Interest in local history was also promoted by the New England University College, inaugurated in 1938 as an outpost of the University of Sydney, which in 1954 became the autonomous University of New England. Moreover, the town had been well-prepared for innovation in the development of museums, long before Dunlop's initiatives of the early 1950s. The Armidale Municipal Museum in 1933 had been proclaimed at its opening as 'the first municipally controlled museum' in the state and, while it closely followed the example of natural history and technological museums in its displays, there were suggestions from the outset that it might adopt a broader approach. In opening the museum, Drummond expressed the hope that it would be more than just a repository of specimens. Foreshadowing future developments, he opined that a country museum should firstly be a place for objects that are 'intimately bound up with the history of the district'; and secondly a place for things 'closely associated with the industries of the district'. He warned that, above all, the museum 'must not be allowed to become a mausoleum or dumping ground for curios'. 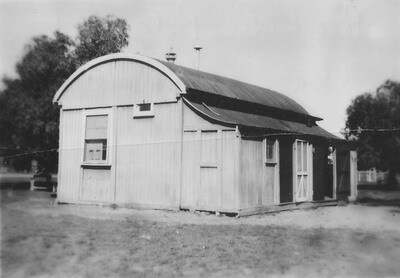 Just eight months after Dunlop's return to Armidale in 1949, he formally suggested his '"Old Time One-Teacher School" project' to Dr GW Bassett, then principal of the college. The building was to be set up as a museum to cater to school groups and tourists, and as a research centre to house a collection of materials on educational practice and facilities for the use of students at the teachers' college. This proposal neatly combined Armidale's image as a centre for education with the burgeoning interest in local history. Through the project, he hoped to 'awaken a deeper consciousness of the intrinsic interest of our early history' via the preservation and display of historic objects. For Dunlop, it was 'matter for regret' that in Australia there had been little attempt to establish similar institutions. Demonstrating an awareness of techniques used in the development of folk museums overseas, he proposed that a bush school be reconstructed on the college fields and that it be authentically furnished and equipped by paying 'attention to minute details'. He claimed his plan would prove to be a 'fascinating project in the History of Education'. Two days later, Bassett submitted the proposal to the Director-General of Education, JG McKenzie, but it was rejected owing to the likely costs involved. Dunlop did not give up. With college approval, he began collecting old educational records and equipment and, over the Christmas vacation, he lobbied McKenzie. Although McKenzie was still not able to support the establishment of a museum financially, he did send a circular to the district inspectors asking them to identify any items that might be included in a collection of historic educational material. When H.O. asked for offers, I, new and floundering, offered the only thing I could recall: perhaps I smiled as I did so. If so, the smile has been iron[ed] out flatly. Now I have instructions to send the building to you. I am advised that expenses will be refunded! I must confess I hope so. Bassett promptly replied, noting that he thought the Department's letter requesting the school 'looked as though the building was to be sent through the post'! He did reassure Mitchell that the request for the Pallamallawa School was not a joke and arrangements slowly began for its transportation to Armidale. In the interim, Dunlop's interest in museums continued unabated. Late in 1953 he embarked on a nine-month tour of Europe. Although he planned to observe trends in the teaching of history in England and Scotland, his particular intention was to study folk, house and open-air museums across Britain and Scandinavia. Dunlop's travels did not extend to the United States and there is no evidence that museological developments there exercised any direct influence on him. British cultural models remained very influential in a wide range of contexts in 1950s Australia, so it is not very surprising to find Dunlop's mind tuned in to the United Kingdom and northern Europe. Folk museums had arisen in a number of European countries in the late nineteenth century. Graeme Davison observes that they first appeared in the smaller countries where 'the nationality and independence of the people appeared to be particularly threatened'. In an overtly nationalistic response, the traditions of the people, their practices, crafts and other forms of national or local expression were captured in museum recreations. At its height the movement was fervently political but by the end of the century 'had degenerated into a form of backward-looking romanticism'. Although also nationalistic in some of its impulses, Dunlop's interest in folk museums was certainly more nostalgic than political. He was entranced by the potential of folk museums to highlight Australia's past and, in particular, the history lived by everyday people, not just the powerful. In essence, he believed that folk museums were 'concerned with the daily life and work of people in past ages'. And, while he was to use the term 'folk' almost interchangeably with 'social history', folk museums, in their purest form, would include an 'orderly arrangement' of objects along thematic lines and some attempt to recreate realistically period rooms, buildings and even settlements. Further, the emphasis was on displaying the everyday lives of the common people, rather than recreating life in colonial mansions. Essentially, they were social history museums with a 'history from below' approach, before EP Thompson used the phrase in 1966. Dunlop kept a small diary to remind him of what he saw during his 1953–1954 tour. In it he pasted newspaper articles and brochures, made sketches of displays, and wrote lengthy notes. At the Geffrye Museum in London, he observed that children came voluntarily to the museum. When he asked whether they were doing their assignments for their teacher or because they enjoyed it, they replied 'No, I like doing it'. Musing on what he had seen, he noted that the recreation of a period room would be somewhat limited to the nineteenth century in Australia, but added that in some cases the approach might be used for a display of Aboriginal social life. He also realised that it would be necessary to 'enlist public support' and the cooperation of organisations like the RAHS, in order for such a plan to be successful. Following his visit to the York Castle Museum, he jotted down features he had seen that might be incorporated into the Museum of Education: fake glowing fires, flat glass wall cases and a costume display. Of the period rooms, he noted that 'much of this could well be attempted in Armidale'. Towards the end of his tour, he had come to the 'conviction t[ha]t t[he] history b[oo]k has rarely touched the fountain-head of history' as there was a tendency among historians 'to note the dramatic & sensational & overlook the normal & important!!' 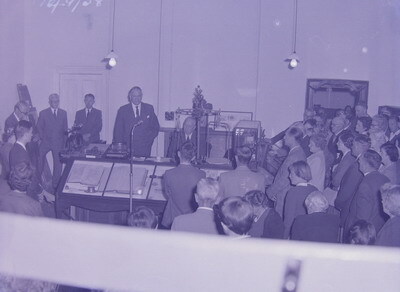 His tour had not only given him ideas for the Museum of Education, but had convinced him that there was an opportunity for Armidale to 'give some small lead to the rest of Australia in a similar presentation of relics of other days'. in line with the work of the great European 'open air museums' where buildings of historic interest are re-erected in a natural setting, and restored as faithfully as possible, inside and out, to give a realistic impression of aspects of life in past times. At the same time that Dunlop was preparing for the opening of the Museum of Education, he also began campaigning for the development of folk museums in Australia and particularly in Armidale. In September 1955 he addressed the Armidale City Council and advocated the establishment of a folk museum. The council was 'wooed' by local relics, slides of overseas museums, and college students in period and contemporary dress. Inspired, Alderman Robert Madgwick stated: 'I would like to start tomorrow even if we haven't a penny in any fund, and nowhere to put the material we should get'. The Armidale Express headline boldly pronounced 'Armidale to have first folk museum in Australia'. By early December enough material had been collected for a week-long historical exhibition in the Armidale Literary Institute. To whet the historical appetite of locals, the display featured exhibits on country life, buildings, old crafts, domestic curiosities, lighting and laundering, as well as a pictorial display. At about the same time, Dunlop and his working committee staged a smaller display for the New England Pastoral, Agricultural and Horticultural Association's rodeo. Dubbed 'Culture and cowboys' by the Express, some 1000 people viewed the exhibition at the rodeo and a further 450 people and 16 school groups visited the week-long display. Towards the end of the week one newspaper correspondent complained that the display was closing prematurely as 'this important and interesting exhibition' had only just begun to attract the notice of teachers. Encouraged by this popular support, the committee pushed forward with their plans. 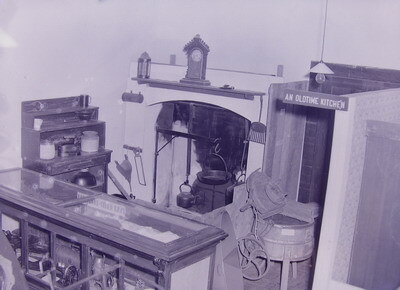 By 1958 they had gathered sufficient objects to begin work on a permanent display incorporating two period rooms — a Victorian bedroom and an 'old time' kitchen — and typological displays of Aboriginal culture, lighting, ironing, building, rural bygones, gold mining relics, household bygones and pastimes of yesterday. On 20 November Drummond officially opened the Armidale Folk Museum. Although the occasion was 'somewhat overshadowed' by a general election, the opening was said to mark an 'awakening interest in history'. Two hundred people attended and on the weekend of the election the exhibition proved a popular diversion with 700 locals coming to see the displays. Notwithstanding the Armidale Express's claims, Armidale was not the first town in Australia to establish a folk museum. Nor was Dunlop the only person at this time involved in establishing a folk museum. He himself noted that 'independently' of Armidale's museums, the Richmond River Historical Society had established 'a very useful' social history museum at Lismore, and Dunlop later became aware of the work of Lionel Gilbert at the Hastings District Historical Society's Museum at Port Macquarie. And it seems that while Armidale was possibly the first folk museum established on the mainland, it was beaten to the title of Australia's first by the Van Diemen's Land Folk Museum at Battery Point in Hobart, which was proposed in 1955 and opened in 1957. It is also clear that the leaders of these pioneering institutions provided inspiration and assistance to other groups wanting to establish a museum. In 1958 Louise Daley at Lismore wrote to the local historian, Norman Crawford, that he could 'count on' her assistance in establishing Tenterfield's Henry Parkes Memorial Museum. Nevertheless, there can be no doubting the extent of Dunlop's influence. In the late 1950s and early 1960s he was attached to the University of New England's adult education program and conducted lectures and workshops on local history and museums in towns across northern New South Wales. News of his work spread throughout New South Wales. By 1959 there was enough interest in folk museums in New England for Dunlop to refer confidently to the 'folk museum movement'. Dunlop spelt out his ideas in August 1955, in a paper he delivered to the RAHS (later published) on the 'Movement towards a museum of social history'. In it he noted that for most people, the thought of a historical museum brought to mind 'glass-topped show cases packed with a heterogeneous collection of curious objects associated in some way with great men or events of our past'. This was not what he envisaged. Instead he advocated the folk museum approach which he believed came closest to presenting a type of living history. Central to his purpose was the educational value of such museums. In Europe he noted that schools used folk museums regularly and in a number of cases the museums had appointed education officers to tease out the connections between the past and curriculum aims. He called for the establishment of folk museums to proceed on two levels: the development of regional museums to illustrate the local past, and the urgent establishment of a national museum in Sydney. Dunlop's stirring of the pot attracted interest in the Sydney press and was backed by strong support from the RAHS, which used it to continue their campaign for the establishment of a museum of social history in Sydney. In early 1958 Dunlop, now recognised as an authority on the subject, was approached in confidence by Wyndham (Director-General of Education), on behalf of the Premier, to comment on a proposal to establish a folk museum in Sydney and to suggest possible sites. Dunlop responded enthusiastically and noted that the site needed to be large enough to accommodate growth over time, but also be as central as possible so it was readily available to schools and tourists. Goat Island in Sydney Harbour was the proposed site, but plans quickly stalled. Dunlop did not give up; he continued to write articles and present talks on the educational merit of folk museums and the need to establish a network of them. In February 1962 Dunlop accepted an appointment as assistant to the Director of Teacher Training in Sydney. To ensure that his replacement would carry on his work, the new appointee was required to have experience in teaching and museum work. 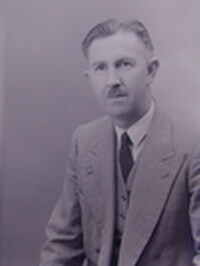 Lionel Gilbert, who was then the research and information officer in the External Studies department at the University of New England and who had been instrumental in establishing the Port Macquarie museum, was appointed to the job. (Gilbert later recalled that some wag unkindly suggested that the job appeared to have been tailored for him, only failing to mention his height and weight.) Dunlop carried on his work from Sydney. In letters to Gilbert he answered queries about the folk museum and suggested objects that should be obtained for the collection. He also instigated the travelling museum, an experimental train carriage of exhibits on Captain James Cook, that journeyed to centres across the state. In 1963 he informed Gilbert that he was establishing a small museum at the RAHS and conducting lectures at the Sydney Teachers' College on the teaching possibilities of folk museums. Of the latter, he regretted that he did not have slides of the Armidale Folk Museum's postcards to illustrate these talks, but noted it was not too late as 'talks like that are always on and I think they help the movement in all centres'. Certainly the 'movement' in New England had continued to grow. By 1971 the Armidale and District Historical Society reported that there were 25 regional museums in New England. 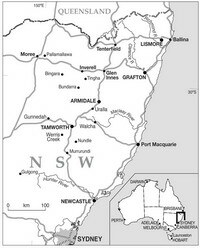 The society used the term 'New England' quite broadly, taking in the north coast, the upper Hunter River area and parts of the far west of the state. Excluding these areas, the number of museums remained a still impressive 15, including museums in large centres such as Tamworth and tiny villages such as Tingha. At least half were run by the local historical society and most were social history museums. One of these museums, the newly established Land of the Beardies History House at Glen Innes, saw itself moving beyond the notion of a folk museum. In an article spruiking the virtues of this establishment the President, RF Robinson, cautioned that while it was currently fashionable to be interested in folk museums, if this was your interest, 'don't come to Glen Innes'. Perhaps a little too boldly, he claimed that here was 'a museum on the move' that was 'living for the present and the future by preserving century-old skills in a living cultural centre'. The museum, nevertheless, still had strong folk leanings, but more in common with outdoor villages such as the Welsh Folk Museum near Cardiff in Wales and the Pioneer Settlement Museum at Swan Hill in Victoria. Housed in the old hospital, it recreated period rooms, transplanted a slab cottage within one of the dormitories, and displayed machinery and household paraphernalia. In common with these other open-air museums was the incorporation of a 'human working model of life as it was lived in the age depicted in the static displays'. Workshop space had been allocated for the mineral and gem, ceramics, and spinners and weavers clubs. Robinson claimed it was not uncommon to see a shearer clipping wool using a hand-driven plant, with the fleece then being passed to the spinners on the veranda where it was woven into cloth. It was this 'blending of the old and the new' that they believed would set them apart from more conventional folk museums. At the time, the two parts of History House — museum and craft centre — were seen as 'inseparable', yet as the museum's collections grew, workshop areas became museum spaces. Coinciding with and fostered by a widespread and growing interest in history, new museums in the region continued to open. In early 1972 the Gunnedah Historical Society began the work of converting the town's water tower into a museum. A year later the Tamworth Historical Society took possession of Calala Cottage (1875) and grounds. In their transformation of the site into a museum, the emphasis was on 'authenticity'. Rooms were furnished in period style and a slab hut was 'restored to its original condition'. Like earlier museums, their displays focused on the region's mining and pastoral heritage. We can perhaps see in much of this regional activity not only Dunlop's influence but confirmation of Davison's argument about the connection between a sense of threat to community and folk museum formation. By the 1960s, the economic, political and cultural ascendancy of Sydney over 'the bush' was both unmistakable and irreversible. Country folk museums were a means of asserting community pride and identity in the face of the unrelenting forces of modernisation. At the same time that Dunlop had been advancing the cause of folk museums in New England, the museum profession too had been undergoing a change in composition and approach. Since Markham and Richards's report of 1933, which criticised Australian museums (with some exceptions) for having 'over-crowded, badly selected and uncurated collections', museums had begun a process of self-examination. In 1936 a conference drew together representatives from the major museums and art galleries in Australia and New Zealand to discuss the report. Among the resolutions passed was the decision to inaugurate the Art Galleries and Museums Association (AGMA) of Australia and New Zealand (established 1937). The association was dominated by the directors of the major museums in Australasian cities, and while it acknowledged the need for extension services to country institutions, actual delivery was limited. There appears to have been no discussion of the need to establish historical museums. Perhaps the lone voice calling for greater recognition of country museums was Robert Bedford of the Kyancutta Museum in South Australia. Bedford was approached by the Wheat Growers' Association to investigate the state of country museums. It was possibly on the strength of the resulting publication, On Country Museums, and a summary presentation he made, that AGMA formed a Country and Provincial Museums Committee. Yet it seems the committee never met and no 'concrete' proposals were made. It was not until the 1950s that the AGMA became more active and inclusive. In a small article in the AGMA Bulletin it was noted that the Trustees of the Australian Museum and the Museum of Applied Arts and Sciences had undertaken to modernise displays of West Maitland and Bathurst museums that had been 'severely criticised' by Markham and Richards. It had taken more than 15 years for the modernisation to be initiated. A more important change occurred with the introduction of an informal newsletter, Kalori. In introducing the newsletter, the editor noted that it would be published more frequently than the AGMA Bulletin and, while the latter was to be reserved for 'more serious and momentous items', Kalori could 'indulge' in articles that were personal and even humorous. Reflecting the more populist approach, the subscription cost for ordinary members was reduced in 1953. The first mention of a folk museum occurred in 1955. From the 1960s, exhibitions of historic materials appeared with growing frequency in the newsletter. In some cases, the displays were put together in natural history or technological museums, but the increasing number of museums with a social history focus was notable. Perhaps, too, there was a growing awareness of the strength of the folk museum movement and a desire to harness (and possibly influence) the movement. Certainly, in 1968, the new editor, Brian J Smith of the National Museum of Victoria, hoped to 'track down and publish details about all the small Museums' that were eligible for association membership. Such museums, he thought, must number in the hundreds. Although Dunlop was not centrally involved in those promising developments, he had exercised some influence on the broader folk museum movement beyond the New England region since the early 1950s. He did so through his publications, which were read by members of historical societies responsible for many of the new museums, but also through his role in teacher training. Yet by the mid-1960s he was somewhat dissatisfied with some of the results of his own endeavours, and with aspects of the movement he championed. While the New England region produced a number of the earliest folk museums in Australia, it was also perhaps there that the problems associated with the rush to establish local museums were most apparent. At an Australian UNESCO seminar, Dunlop noted that, while he was encouraged by the growth in the local museum movement, he was disappointed that few had followed his lead in display principles and had instead permitted 'overcrowding and clutter'. Perhaps prompted by his growing unease over the 'lack of direction' in the movement, in 1968 he published a slim booklet entitled Local Historical Museums in Australia. It was effectively a guide for those endeavouring to establish a historical museum and was sent free of charge to all of the bodies affiliated with the RAHS. In the booklet's first two years the society also earned $405 from sales, which suggests wider distribution. In the booklet, he sets out a range of 'practical suggestions' that examine how to begin, make display suggestions, give hints on museum organisation and encourage a positive relationship between museums and schools. Display, he argues, was one of the last things that should be attempted. Before this stage, it is essential to acquire adequate support and effectively plan how this support is to be achieved and collections amassed. While he believed there was 'really no "rubbish" in a folk museum store-room', he cautions that the museum committee must have a 'firm policy' which asks whether the item is typical of, or used by, locals. In choosing a building, he notes that, whether historic or purpose-built, it needs to accommodate storage; space for preparation and restoration; an archival or function room; and exhibition space. The displays, he urges, should be thematically based and 'tell a story' about the past. In period rooms there 'must be absolutely no labels', so as to ensure the illusion of the space still being 'lived in' is maintained. While many of Dunlop's specific display suggestions seem simplistic and dated (for example, his emphasis on rural bygones), much of what he observed was prescient. Underlying his advice was growing discomfort about the apparent flaws in museums: clutter, no attempt at grouping the collections appropriately, lack of a local distinctiveness, the failure to attach stories to objects, and the consequent sameness of the collections. These are criticisms which have been, and still are, levelled at historical museums. For example, Donald Horne, a critic of museum practice, has noted the 'cult of the flat iron' where museum after museum he visited contained the same objects (such as the flat iron) with little or no distinctive flair in their display. Healy too observes the sameness evident in many museums. Taking this point a step further, he notes that not only were the objects similar, but the collections were 'similarly anarchic'. Contrary to Dunlop's advocacy of folk museums being about the everyday, he found that there was a 'strong emphasis on firsts'. While these were not usually the achievements of great men, they were local 'firsts' and so did not represent the typical that Dunlop hoped would be featured. Perhaps more serious was the problem, largely unrecognised by Dunlop, that the nostalgia associated with these museums produced a comparatively sterile display which, as Davison observes, was 'purged of disturbing social and political conflicts'. Each of these complaints was echoed in the comprehensive Report of the Committee of Inquiry on Museums and National Collections in 1975 (known as the Pigott Report). Although the growth of local museums was described as 'one of the most unexpected and vigorous cultural movements in Australia', the committee too saw 'defects in so many of the small country museums'. To ensure their sustainability in the long term they recommended the formation of networks that were supported by a professional curator, training programs in museum practice, a register of significant collections, and that grants be given where specialists were employed to work as advisors. While many of the report's recommendations have been attempted in some way over the last thirty years, there remains much to be done. Dunlop died in the year prior to the Pigott Report. He was not to know that it would eventually lead to the creation of a National Museum of Australia charged with the 'collecting, preserving, study and display of materials related to the history of man in Australia and the interaction between man and the Australian environment'. This was essentially the national museum of social history that Dunlop (along with many others) had long advocated, but in Canberra rather than Sydney. Dunlop did live to see the results of his 'movement' dotted across the countryside. In the development of folk museums, he was proud of 'country progress' in the face of 'city stagnation'. Moreover, he was acutely aware that through his work on the establishment of folk museums, he had been attempting something quite new in Australia. While Dunlop was not alone in this campaign and certainly folk museums would have been established in Australia without his involvement, he provided the movement with objectives to aspire to and a steady hand to guide them. This paper has been independently peer-reviewed. 1I am grateful to Dr Frank Bongiorno for his comments and suggestions on the text. 2 Eric W Dunlop, 'Movement towards a museum of social history', Royal Australian Historical Society Journal and Proceedings (RAHSJP), vol. 41, part 4, 1955, pp. 174–6. 3 Among the exceptions are Graeme Davison's chapter on 'Living history: Touring the Australian past' in Graeme Davison, The Use and Abuse of Australian History, Allen & Unwin, St Leonards (NSW), 2000, pp. 162–77; and, as part of a general history on museum development, Tony Bennett, The Birth of the Museum: History, Theory, Politics, Routledge, London, 1995. 4 See Kimberley Webber, 'Constructing Australia's past: The development of historical collections, 1888–1938', in Proceedings of the Council of Australian Museum Associations Conference, Perth, WA, 1986, ed. by Patricia M Summerfield, History Department, Western Australian Museum, Perth, 1987; and Valda Rigg, 'Presenting Australia's past: The origin, perception, and emergence of Australian human history in the museum in Australia', unpublished MA thesis, Macquarie University, 1992. 5 Tom Griffiths, Hunters and Collectors: The Antiquarian Imagination in Australia, Cambridge University Press, Melbourne, 1996, pp. 47–9. 6 LA Gilbert, 'Historical museums and the national estate', Armidale and District Historical Society Journal and Proceedings (ADHSJP), no. 17, March 1974, pp. 108–9. 7 EW Dunlop, 'Folk museums and parks', Australian Encylopaedia, vol. 3, Ferns to Ley, Grolier Society of Australia, Sydney, 1979, pp. 64–6. 8 SF Markham and HC Richards, 'A report on the museums and art galleries of Australia', Sir Sydney Markham, A Report on the Museums and Art Galleries of Australia and New Zealand, Museums Association, London, 1933, pp. 44–5. 9 Chris Healy, From the Ruins of Colonialism: History as Social Memory, Cambridge University Press, Melbourne, 1997, pp. 88–93; and Rigg, 'Presenting Australia's past', p. 168. 10 Rigg, 'Presenting Australia's past', p. 36; and Webber, 'Constructing Australia's past', pp. 158–61. 11 'Sydney International Exhibition of 1879', Sydney Morning Herald, 18 September 1879, p. 7. 12 Webber, 'Constructing Australia's past', p. 160. 13 Rigg, 'Presenting Australia's past', p. 168; and Bennett, The Birth of the Museum, p. 136. 14 Webber, 'Constructing Australia's past', p. 165. 15 Graeme Davison, 'Museums and national identity', a paper presented at the Museums Australia National Conference, Adelaide, 2002. 16 Healy, From the Ruins of Colonialism, p. 87. See also Anne Coote, 'Imagining a colonial nation: The development of popular concepts of sovereignty and nation in New South Wales with particular reference to the period between 1856 and 1860', Journal of Australian Colonial History, vol. 1, no. 1, April 1999, pp. 1–37. 17 Sydney and the Bush: A Pictorial History of Education in New South Wales, New South Wales Department of Education, 1980, p. 118. 18 Geoffrey Serle, From Deserts the Prophets Come: The Creative Spirit in Australia, 1788–1972, Heinemann, Melbourne, 1974, pp. 60–1. 19 Leigh Astbury, City Bushmen: the Heidelberg School and the Rural Mythology, Oxford University Press, Melbourne, 1986, pp. 11–14. 20 Ian McShane, 'Building a national museum of Australia: A history', Public History Review, vol. 7, 1998, p. 78. 21 Griffiths, Hunters and Collectors, pp. 204–06. 22 Marjorie Jacobs, 'The Royal Australian Historical Society 1900–1985. Part I. "Students of a like hobby": The Society 1900–1954', Journal of the Royal Australian Historical Society, vol. 75, part 4, April 1988, pp. 246–47, 255–57; and KR Cramp, 'Royal Australian Historical Society: Twenty-five years of progress, 1915–1940', Royal Australian Historical Society Journal and Proceedings, vol. XXVII, part II, 1941, pp. 171–2. 23 Markham and Richards, 'A report on the museums', pp. 44–5. 24 KS Inglis, Sacred Places: War Memorials in the Australian Landscape, Miegunyah Press, Carlton (Vic), 1998, pp. 334–38, 345. 25 Charlotte Smith, 'William Charles Wentworth at Vaucluse House: The effect of changing historiography upon interpretation', Public History Review, no. 11, 2004, pp. 161–66. 26 Dunlop, 'Movement towards a museum of social history', p. 176. 27 McShane, 'Building a national museum of Australia', p. 81; and Markham and Richards, 'A report on the museums', p. 45. 28 Webber, 'Constructing Australia's past', pp. 156, 170; Gavin Souter 'Skeleton at the feast', in Australians 1838, ed. by Bill Gammage and Peter Spearritt, Fairfax, Syme & Weldon Associates, Sydney, 1987, p. 18. 29 Webber, 'Constructing Australia's past', p. 156; and Australian Historical Exhibition Committee reports, around 1936–1938, in File 141 Correspondence sent to EW Dunlop by the Royal Australian Historical Society in 1955, A1634 Armidale Teachers College and Armidale College of Advanced Education Records, University of New England and Regional Archives (UNERA). 30 Australian Historical Exhibition Committee reports, File 141, A1634, UNERA. 31 Dunlop, 'Movement towards a museum of social history', p. 176. 32 'Profile: History was always his forte', unidentified newspaper cutting, in File 145 Scrapbook, A1634, UNERA. 33 Calendar of the University of Sydney for the Year 1933, Angus & Robertson, Sydney, 1933, p. 520. 34 'Profile', File 145, A1634, UNERA; LA Gilbert, 'Death of leading history lecturer', Armidale Express, 3 April 1974, p. 7; and Lionel Gilbert, 'Eric Dunlop', unpublished manuscript, Dunlop Personality File, Historical Resources Centre Collection (HRC), UNERA. 35 RJW Selleck, The New Education: The English Background, 1870–1914, Sir Isaac Pitman & Sons Ltd, Melbourne, 1968, p. viii. 37 Correspondence between Eric Dunlop and CB Newling, November 1940, File 127 Correspondence with CB Newling, A1634, UNERA. 39 'Profile', File 145, A1634, UNERA; Gilbert, 'Death of leading history lecturer', p. 7; and Gilbert, 'Eric Dunlop', HRC, UNERA. 40 JS Ryan, 'Eric W Dunlop (1910–1974) and the teaching of traditional culture in New England', ADHSJP, no. 42, April 1999, p. 59. 41 Graeme Davison, 'Sydney and the Bush: An urban context for the Australian legend', Historical Studies, vol. 18, no. 71, October 1978, pp. 191–209. 42 ES Elphick, 'The early years of Armidale Teachers' College', ADHSJP, no. 22, March 1979, p. 1. See also ES (Jock) Elphick, The College on the Hill: A History of Armidale Teachers' College and Armidale College of Advanced Education, 1928–1989, Armidale College of Advanced Education, Armidale, 1989. 43 John Ferry, Colonial Armidale, University of Queensland Press, St Lucia (Qld), 1999, p. 221 and passim. 44 EW Dunlop, 'Annual report of the society for 1960', ADHSJP, vol. 1, no. 1, February 1961, p. 2. 45 Matthew Jordan, A Spirit of True Learning: The Jubilee History of the University of New England, University of New South Wales Press, Sydney, 2004, chapters 1–3. 46 Armidale Express, 18 December 1933, p. 4; 29 June 1934, p. 4; 23 July 1934, p. 4. 47 CB Newling had retired in December 1947. 48 EW Dunlop, 'The Armidale Teachers' College Museum of Education', The Education Gazette, vol. LII, no. 5, 1 May 1958, p. 202. 49 Correspondence, A05-007.1, Museum of Education, UNE. 50 Pallamallawa is located approximately 30 kilometres to the east of Moree in northern New South Wales. 51 Correspondence, A05-007.1 Museum of Education Administrative Files, 1949–1974, Museum of Education, University of New England (UNE). 52 Davison, 'Museums and national identity'. 53 Bennett, The Birth of the Museum, p. 115. 54 Dunlop, 'Folk museums and parks', pp. 64–6. 55 Dunlop, 'Movement towards a museum of social history', p. 176. 56 EP Thompson, 'History from below', The Times Literary Supplement, 7 April 1966, pp. 279–80. 57 EW Dunlop, 'Notes on 1954 tour of museums', File 146 Notes taken in 1951 diary, A1634, UNERA; and 'Lecturer to travel abroad', Northern Daily Leader, 30 November 1953, n.p., File 145, A1634, UNERA. 58 Wyndham had previously been secretary to the Director-General of Education, JG McKenzie, and had overseen much of the development of the Museum of Education collection. 59 A radio broadcast of Dunlop speaking about the Pallamallawa school is available at the bottom of this article under 'Related attachments': Eric Dunlop speaking on the Pallamallawa school and the Museum of Education (excerpts), Other Days Other Ways radio broadcast conducted for the Moree Local History Group, around 1959. Audio courtesy UNERA, A1802. 60 EW Dunlop, 'The museum and the school', Armidale Teachers' College Bulletin, vol. 4, no. 3, 1957, p. 12. 61 Dunlop, 'The Armidale Teachers' College Museum of Education', A05-007.1, Museum of Education, University of New England; and 'Old bush school now museum', Armidale Express, 21 September 1956, n.p., File 145, A1634, UNERA. 62 Madgwick was the newly appointed Vice Chancellor of the University of New England and, significantly for present purposes, had a long history of involvement in adult education, first with the Australian Army Education Service before overseeing the implementation of external studies at the University. 63 Gilbert, 'Eric Dunlop', HRC, UNERA; and 'Armidale to have first folk museum in Australia', Armidale Express, 28 September 1955, n.p., File 145, A1634, UNERA. 64 Unidentified newspaper cutting, File 145, A1634, UNERA. 65 'An awakening interest in history', Armidale Express, 1 December 1958, n.p., File 148 Book of Newspaper Cuttings, A1634, UNERA. 66 EW Dunlop, 'The folk museum movement in New England', RAHSJP, vol. 45, part 5, January 1960, pp. 273–74. 67 'A new museum', Kalori: Quarterly Newsletter Issued by the AGMA, no. 11, July 1955, p. 3. 68 Dunlop, 'The folk museum movement in New England', pp. 275–76; see, for example, cuttings on Dunlop's activities in File 145, A1634, UNERA; and letter from Louise Daley, 22 June 1958, in V3098/20, A186 Crawford Collection, UNERA. 69 Other key figures conducting schools on local history were RB Walker and EJ Tapp. Armidale Express, 3 April 1974, p. 7; see cuttings and programs in File 145, A1634, UNERA; Local Organisations: History of New England Course, 1955, File 13/7(1), A363 University Extensions Collection, UNERA; and Boggabri Adult Education Committee, Boggabri: The Story of our Town, Boggabri (NSW), 1957, pp. 1–2, 55. 70 Dunlop, 'Movement towards a museum of social history'. 71 ibid., pp. 174–76, 183–85. 72 'One man tells how', unidentified newspaper article, around 1955, in File 147 Loose Cuttings, A1634, UNERA; John Kenny, 'Historical museum for Sydney', Sydney Morning Herald, 2 June 1956, p. 11; and CH Currey, 'Historical relics', Sydney Morning Herald, 7 June 1956, p. 2, File 145, A1634, UNERA. 73 Correspondence between Eric Dunlop and Dr HS Wyndham, 1958, File 144 Correspondence with Dr HS Wyndham, A1634, UNERA. 74 See, for example, EW Dunlop, 'The museum and the school', pp. 8–14; EW Dunlop, 'An approach to teaching history through local studies', The Forum of Education, vol. XXI, no. 1, April 1962, pp. 9–15; and EW Dunlop, 'History through museums', Australian Unesco Seminar on 'The Role of Museums in Education', Australian Museum, Sydney, 26–29 September 1966, pp. 68–73. 75 Personal communication with Lionel Gilbert, 14 March 2005. 76 PM McDonald, 'The travelling museum in a train', Museum Contributions to Education, First Australian ICOM Seminar, National Gallery of Victoria (Melbourne), 1971, p. 67. 77 Letters from Eric Dunlop to Lionel Gilbert, 1963, in Folk Museum Administrative Records, Armidale Folk Museum. 78 'Regional museums of New England', ADHSJP, no. 14, April 1971, pp. 101–5. 79 RF Robinson, 'That the future may learn from the past', ADHSJP, no. 15, December 1971 – January 1972, pp. 103–05. 80 ibid. In early 2005 only the ceramics and gem clubs remained in the building. 81 A report in 1977 noted that there were 22 museums and six galleries in the New England region. James Colman and Associates, Museums and Galleries in the Regions of New South Wales, ed. by Patricia McDonald, Division of Cultural Activities, NSW Premier's Department, 1980, pp. 5, 13–18. 82 The society's original plan to add a perspex dome to the top of the tower to give 'a mosque effect' did not proceed. 'Historical museum for Gunnedah', ADHSJP, no. 16, January 1973, p. 83. 83 Guy Court and Jim Hobden (eds), Tamworth the Changing Scene, Tamworth Historical Society, Tamworth, 1977, pp. 6–9. 84 Davison, Use and Abuse of Australian History, pp. 162–3. 85 Markham and Richards, 'A report on the museums', p. 2. 86 Art Galleries and Museums Association of Australia and New Zealand, Presidential Report, n.p., 13 January 1939; and Art Galleries and Museums Association of Australia and New Zealand, Presidential Report, Brisbane, 31 October 1940. 87 Bedford's support for country museums, however, was hindered by his reputation for not following appropriate etiquette when collecting specimens. Monz, 'Within or without? Robert Bedford and the Kyancutta Museum 1931–1939', paper presented at the UNCOVER: Graduate Research in the Museum Sector conference, University of Sydney, 2004. 89 'Country museums of New South Wales' in AGMA: News Bulletin of the Art Galleries and Museums Association of Australia and New Zealand, no. 4, August 1950, p. 13. 90 'Introducing Kalori', Kalori, no. 1, October 1952, p. 1. 91 Kalori, no. 5, October 1953, p. 7; and no. 11, July 1955, p. 3. 92 'Editorial', Kalori: Newsletter of the Museums Association of Australia, no. 33, April 1968, p. 2. 93 Dunlop, 'History through museums', p. 2. 94 Royal Australian Historical Society, Annual Report to Members for 1968, Royal Australian Historical Society, Sydney, 1969, pp. 1, 3, 14; Royal Australian Historical Society, Annual Report to Members for 1969, Royal Australian Historical Society, Sydney, 1970, p. 11. 95 EW Dunlop, Local Historical Museums in Australia, the Royal Australian Historical Society in association with Angus & Robertson, Sydney, 1968. 96 Donald Horne, Demystifying the Museum, the Second William Merrylees Memorial Lecture, Riverina–Murray Institute of Higher Education, Wagga Wagga, 1986, pp. 14–15. It is quite possible that the preponderance of flat irons observed by Horne might have owed something to the influence of Dunlop, who had his own collection of irons that he used 'to convince his audiences that there is an absorbing story behind even the commonest domestic articles'! Dunlop, 'Movement towards a museum of social history', p. 186. 97 Healy, From the Ruins of Colonialism, pp. 77, 104. 98 Davison, The Use and Abuse of Australian History, pp. 166–67. 99 Committee of Inquiry on Museums and National Collections, Museums in Australia 1975: Report of the Committee of Inquiry on Museums and National Collections including the Report of the Planning Committee on the Gallery of Aboriginal Australia, Australian Government Publishing Service, Canberra, 1975, pp. 19–29. 100 Committee of Inquiry on Museums and National Collections, Museums in Australia 1975, p. 4. 101 Dunlop, 'History through museums', p. 70.